This modern18K white gold diamond wedding band has 42 round diamonds totalling 0.42 carat in claw setting. 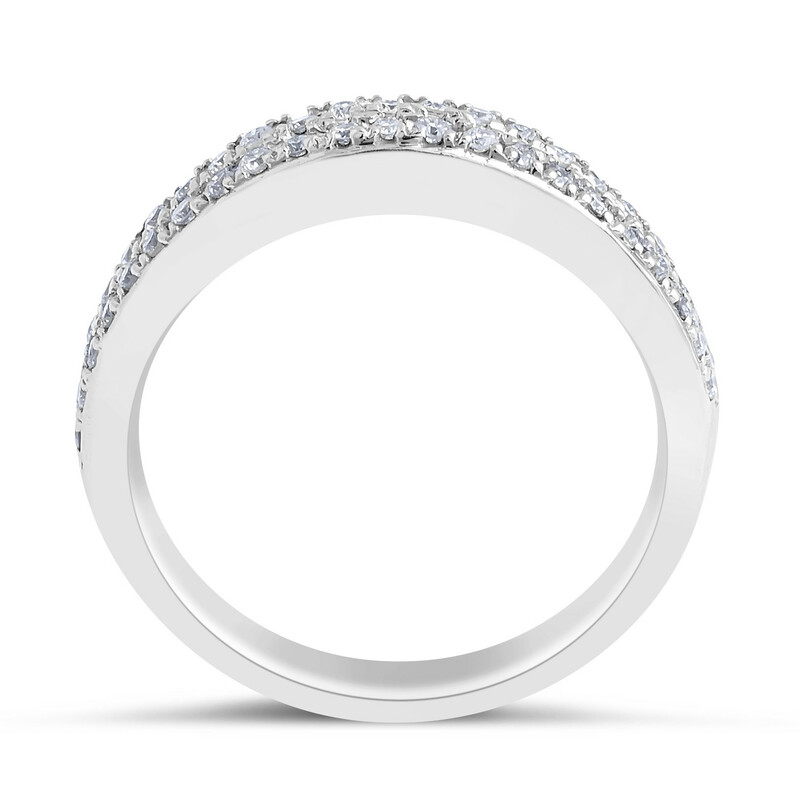 The minimalist and elegant design of the ring is perfect to complement an engagement ring but it has a wonderful presence also as a stand-alone piece. The delicate setting of 0.42 carat of diamonds Pave offers an outstanding sparkle. This ring suits a feminine and elegant woman whose style is striking. 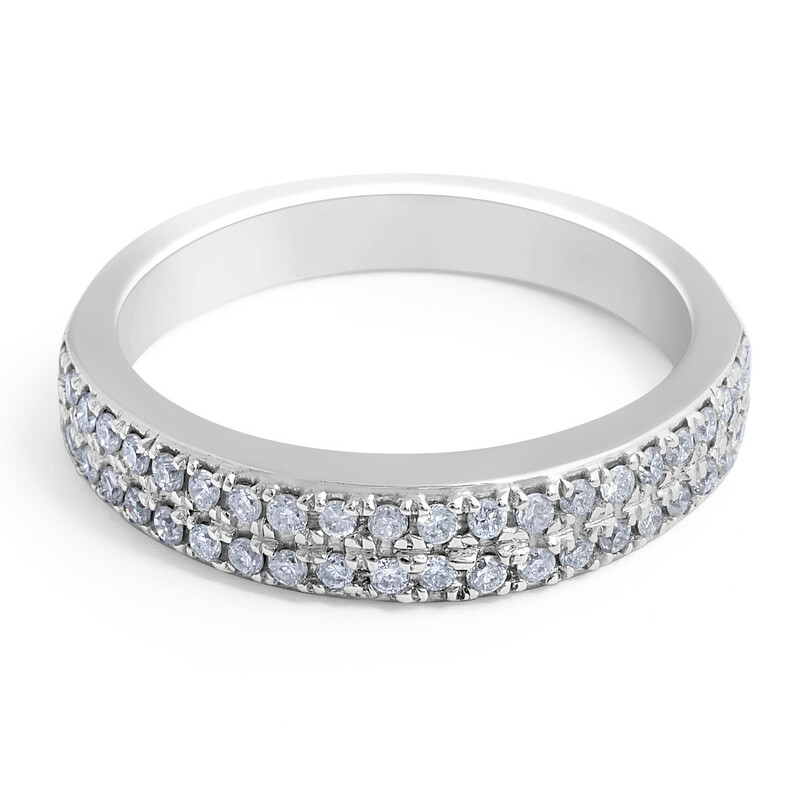 18 Karat White gold Diamond Wedding Band in Pave Setting with 42 Round Brilliant Cut Diamonds Total 0.42 Carat.